Affogato literally means “drowning” in Italian, which is exactly what this scoop of gelato is doing in a shot of espresso. It’s the best sort of tragedy to happen at the dinner table. Here’s how to make it. 1. Plop 1 scoop of gelato in each of 4 squat glasses or coffee cups. 2. Give each dinner guest a glass containing a scoop of gelato, a small cup of espresso on the side, and a spoon. Then let everyone pour the espresso over the gelato and plunge their spoons in quickly so as to appreciate the contrast between hot and cold and still-distinct flavors before the cream melts into the dark liquid. Then sigh deeply out of contentment. 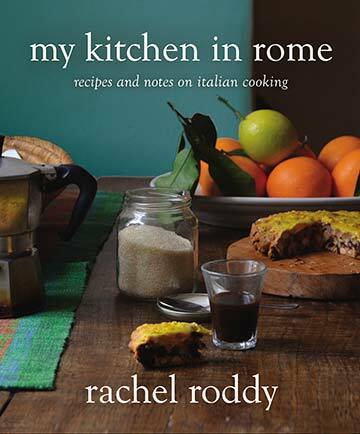 Affogato Recipe © 2016 Rachel Roddy. Photo © 2016 Rachel Roddy. All rights reserved. All recipes and photos used with permission of the publisher. I respect affogato. It's something that conjures such happiness from so few ingredients and so little effort. I first experienced affogato when I was a 20-something living through a sweltering summer in Washington, DC, without air conditioning. Affogato is what soothed me morning and night. And since you really can't mess this up, it's a tremendously practical dinner party trick. Don't overlook the author's admonition to serve the espresso steaming hot and the gelato cold from the freezer. And let your guests pour it themselves because the gelato melting and melding with the espresso is truly something you must not miss, not even one moment of it. So easy to do. And absolutely foolproof. And utterly delicious. So how much better can it get? 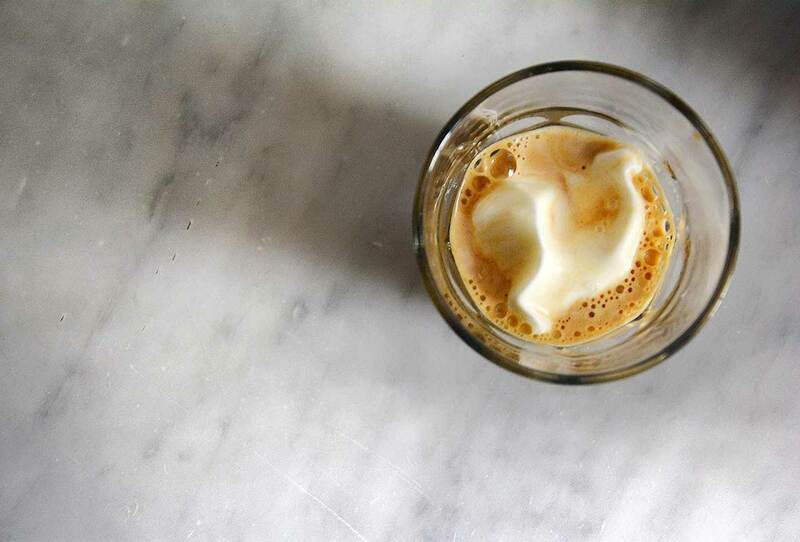 I’m totally in love with affogato and make it often at home—at least once a week. My guests are always impressed with the simplicity and taste. This makes eating fun. It is a sensory experience. Nods. Exactly, Stu. I couldn’t agree more. Rachel is THE BEST. I have the British version of her book, Five Quarters (couldn’t wait for the US publication) and got the US one on my Kindle the day it was released. Now, Renee, try making this with Jeni’s Sweet Cream Ice Cream, which you have posted here. Hah! Lovely, Victoria. I appreciate the challenge and I shall rise to it! Many thanks for taking the time to chime in!